At the age of 72, Mary Corse will have her first solo museum exhibition at the Whitney Museum of American Art next month. A group of her pioneering abstract paintings has also recently been acquired by the Dia Art Foundation. Now recognised as sharing affinities with works by artists in the California Light and Space movement, including James Turrell and Robert Irwin, Corse’s works will go on view this weekend (6 May) at Dia:Beacon alongside those of her better-known peers working contemporaneously in the 1960s and 1970s. At her studio and home in the rugged hills of Topanga Canyon, where she moved from downtown Los Angeles in 1970 as a single mother, Corse has been busy completing new monochrome and striped paintings for her debut show with Lisson Gallery in London, also opening in May. (In addition to Lehmann Maupin, which has represented her since 2012, she was taken on by Kayne Griffin Corcoran) in 2016. Corse seems both gratified and bemused by the recent flurry of attention. “For years, I was not accepted at all,” Corse says. She recalls a group exhibition—including artists such as Irwin and Dan Flavin—that featured one of her 20ft paintings but “it wasn’t even mentioned that I was in the show in the review”. But Corse says she was always more focused on making her work and raising her sons than on a career. “Art was about your state of mind, your passion,” she says, noting that it was not until the 1970s that students coming out of the California Institute of the Arts seemed more professionalised. In 1964, when Corse was only 19, she shifted from making abstract expressionist paintings, influenced by Hans Hofmann and Josef Albers, to experimenting with all-white shaped canvases that were inflected with subtle grooves made from varying layers of white paint. “The vibration of light started to really interest me,” she says. The Whitney retrospective will highlight Corse’s key moments of experimentation across five decades. “It’s tightly focused on when she comes upon a new material or new structure that helps her play out her ideas of light and how one might find light inside the canvas,” says Kim Conaty, the exhibition’s curator. 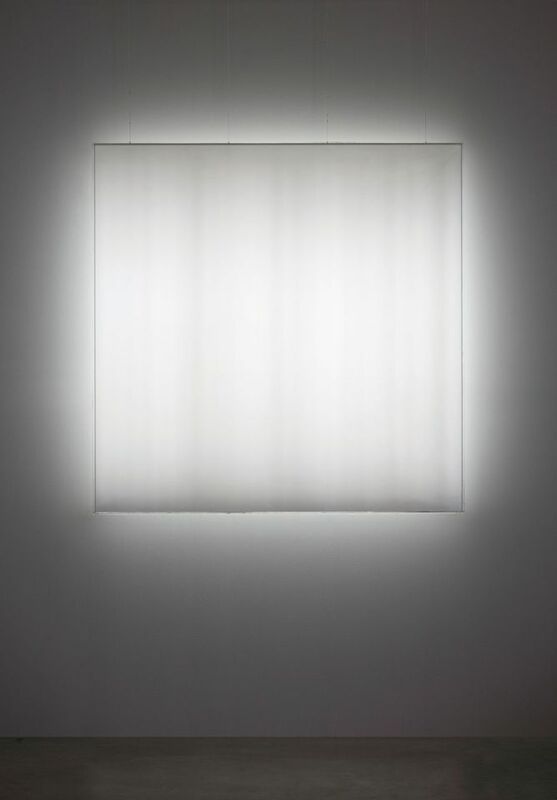 The show includes her electric light boxes, begun in 1966—solid white Plexiglas encasements of fluorescent tubes that emit light from the surfaces. Two years later she made them completely free and floating by removing all wires. While taking physics classes at the University of Southern California as she was completing her BFA at Chouinard Art Institute, Corse developed a technique of using Tesla coils embedded in a wall or pedestal to power and ionise the argon gas in the light boxes’ neon tubes. “It wasn’t that I was particularly scientific but I wanted to solve that problem,” she says. While she had reached for objectivity in her early monochromes by sanding out the brushstrokes, the study of quantum physics led to her interest in perception and subjectivity. On a drive home from Malibu in 1968 with the sun angling behind her, she was struck by how it lit up the white dividing line on the highway. She began experimenting with utilitarian glass microspheres used on roadways as a way of harnessing and refracting light on the surface of her paintings. 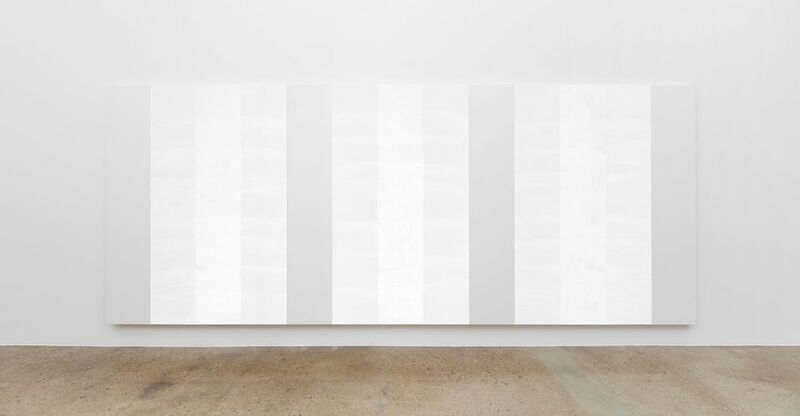 “It’s high-tech sand,” says Corse, who continues to use the material today, applied over white paint in wide vertical bands that divide the canvases in equal segments. From one side, a painting might look like a perfectly flat monochrome. From another angle, the microbeads light up in alternating stripes that dazzle and make visible the swooping brushstrokes.